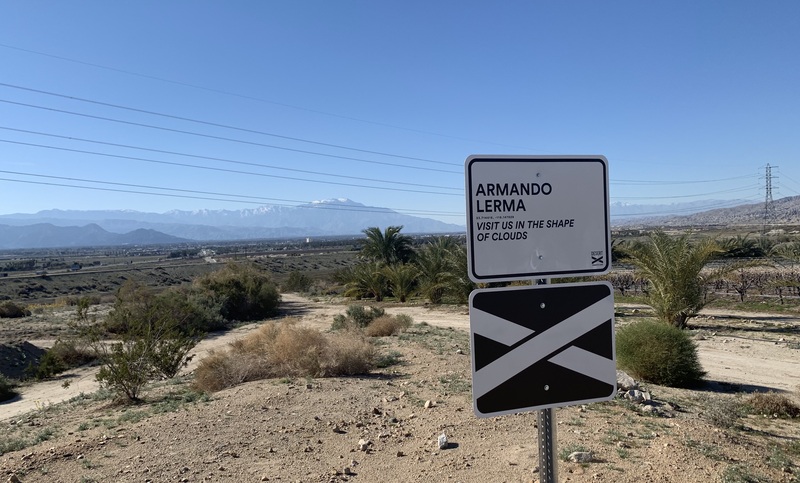 Desert X 2019 runs from Palm Springs to the Salton Sea (with many spots in the Coachella Valley in between) from February 9 through April 21. Below is info for Visit Us in the Shape of Clouds and you can catch all the info you need for every Desert X installation in our complete guide here. 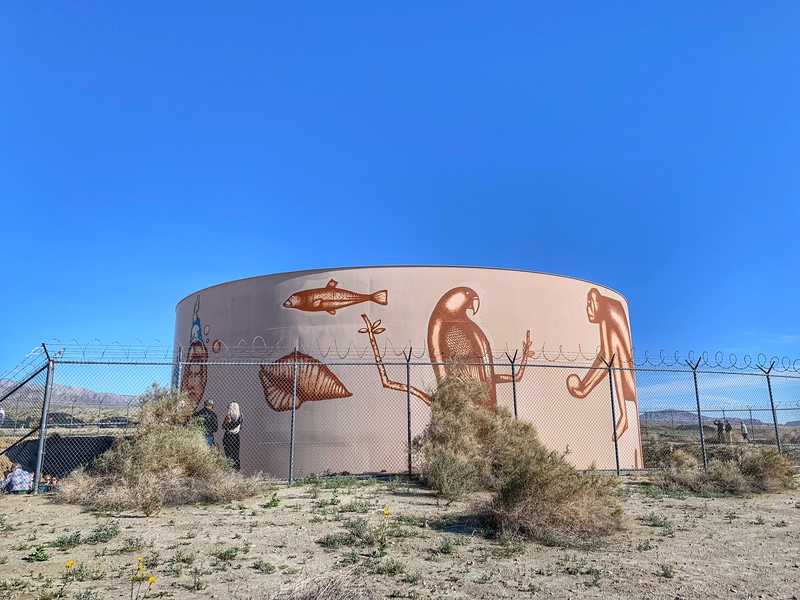 The Lowdown: If you peer up towards the landfill while driving on the 10 Freeway, you may notice a water tower with a little something extra. 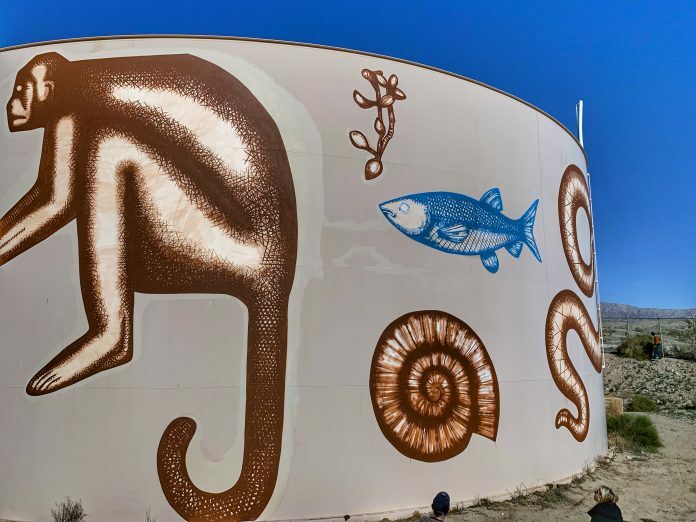 If you take the time to drive up and by the landfill, grape vines, and lemon trees, you will find a very cool, very large mural from local Coachella artist Armando Lerma. The installation is huge and the photos don’t do it justice – so head on out and take it in! It’s really pretty great. When you get there, you can choose to walk around the outside of the chain link fence or head in and both are worth a stroll around – as you get a different perspective from near or far. Bonus: this lies up above the east Coachella Valley and offers up some pretty rad views of the desert. We would love to see your photos of Visit Us in the Shape of Clouds. Be sure to post them in the comments below – and check out our guide to all of the Desert X installations here.